Learning how to use a sander isn’t rocket science but our techniques and tips help you sand in a new way. 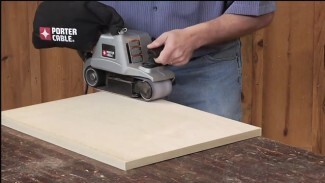 We’ll help you learn how to use a belt sander, disc sander, random orbit sander and more. 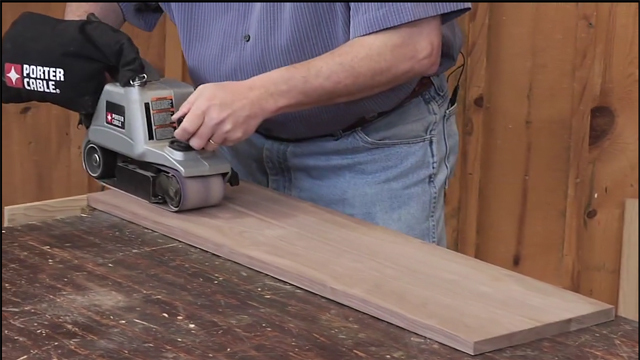 Learn how to sand wood in a variety of different ways with our high definition video content. Sanding is important for those slight imperfections in your project so make sure you spend time during the sanding phases. 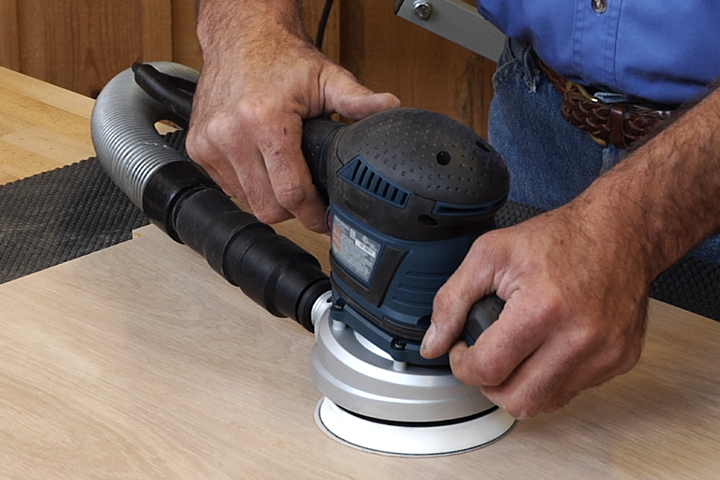 If you already have a random orbit sander in your workshop and are looking for an easy-to-make hand sander, George Vondriska has just what you need. Using a piece of MDF, you can build a sturdy hand sander with strips of Velcro and one of the sandpaper disks that comes with your random orbit sander. Plywood edgebanding is best applied slightly wide and then sanded flush using a belt sander. Woodworking expert Bruce Kieffer shows you how to do this type of belt sanding without sanding through the plywood veneer or gouging the panel. George Vondriska shows you how a quick trip to your local auto parts store is all you need to build your own custom sanding block that can help you sand any shaped profile you may encounter during your woodworking projects. Bring us right into your shop so we can help you learn how to use a sander. 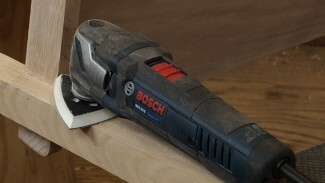 With the ability to stream videos on any mobile device, you can watch videos that give you tips on sanding and other woodworking tips and techniques. It’s like having master woodworker George Vondriska in your shop right by your side! Ticket 21890 I’d like plans to build a disc sander. Thanks for your question. No, we do not have such a plan.